Click Purchase Page on the Purchase License window that opens in Excel when you click a CellShield function button for the first time. The Purchase CellShield web page opens. On the web page, scroll down to the Coupon field. Enter the coupon code, and then click Apply Coupon. The screen refreshes. Complete the other fields on the page. Select the check box if you would like to join our mailing list to receive the latest news about IRI and our products. Click Confirm & Complete Purchase. 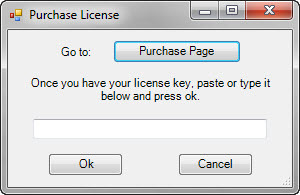 A new page opens displaying your license key. You will also receive an email with this information. Go back to the Purchase License window in Excel and enter the license key. Do not enter the coupon code in this field. Note that the license key has several groups of numbers separated by periods. Your CellShield is now active and ready to be used to protect your data.